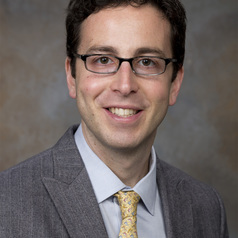 Dr. Schwartz is an Assistant Professor of Medicine at Yale School of Medicine and a graduate of the Yale Combined Internal Medicine and Pediatrics residency program. The focus of Dr. Schwartz's work is on understanding and improving systems of health service delivery. He has been active in research, medical education, and advocacy in Uganda since 2004, when he was a medical student. Since 2013, Dr. Schwartz has been co-Director of the Uganda Initiative for Integrated Management of Non-Communicable Diseases (UINCD), a research consortium addressing knowledge and implementation gaps along the spectrum of NCD management in Uganda. His work in Uganda has explored health facility NCD readiness, access to essential medicines for NCD, NCD awareness among community health workers, integrated NCD healthcare worker training, developing mobile health tools for self-care of NCD, and integration of hypertension into HIV treatment. He practices and teaches quality improvement to trainees at Yale and has recently begun to collaborate with colleagues to expand quality improvement education for health professions trainees in Uganda.